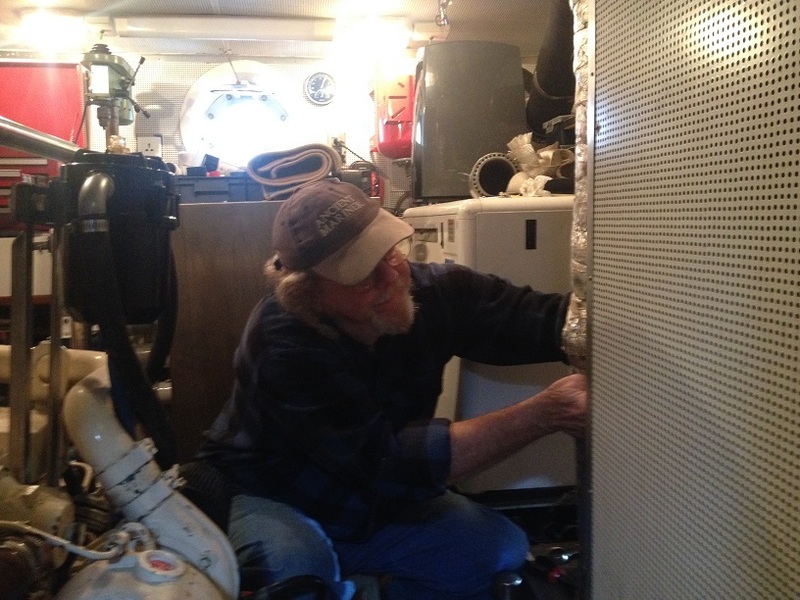 Once more Randal is back onboard helping me out with some major issues needed to be rectified before heading out on the North Atlantic (replace old exhaust elbow,install new fuel polish system). We will spend 2 weeks together onboard and started up yesterday having happy hour and tapas with some of the other cruisers in the neighbourhood. Randal came with loads of spareparts from the U.S and with a new exhaustelbow built by Seahorse Marine. My gratitude for Randals return cannot be expressed in words.